Antrim Cedar Corporation was incorporated in 1989 and was originally established to compliment the sales team at Antrim Forest Products. Antrim Forest Products was a Western Red Cedar manufacturer located in Surrey, British Columbia, and established in 1972. In 1989 the three partners Dave Bifford, Dennis Pare, and Bill LaCoste brought on Greg Didur to form Antrim Cedar Corporation. In 1991 Butch Simpson joined the Surrey office sales group bringing a wealth of knowledge and experience to an already well seasoned team. From 1993 through 1997 Antrim Cedar opened sales offices in Tampa, Florida; Niotaze, Kansas; Olathe, Kansas; and a Re-Load in Dallas, Texas. In 2002 Antrim Custom Cut was incorporated in Sedro Woolley, Washington, in partnership with Donald Kaaland of Kaaland Mills. Antrim Custom Cut purchased a saw-mill from the Metlakatla Indian Council in Metlakatla, Alaska, and barged the entire facility down from Alaska to Seattle and re-construced it on the site in Sedro-Woolley. 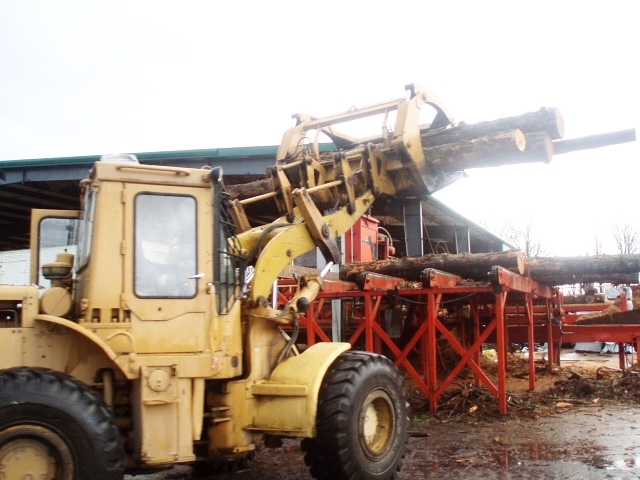 Antrim Custom Cut/ Antrim Cedar Corporation sold the Sedro-Woolley saw-mill operation in 2015, but the company is still actively involved in the purchasing and custom running of Western Red Cedar logs in both the United States and Canada.